What’s the Appeal of Meditation? Well, there’s for one thing… there’s little to no cost when it comes to money — or even time. Meditation is also accessible to people at all levels of fitness. But what some people may fail to realize is that meditation does more than make you feel good. In fact, it may actually be good for you. The next tier of potential benefits may extend even beyond the realm of mental health. Studies are even starting to show that meditation might help provide support to certain areas of your body. And another showed that those who practiced “dispositional mindfulness” were less likely to be obese. This means those with a high degree of attention to their thoughts and feelings in the present.4 As you will see, the two have a connection. The core tenet of mindfulness is to, simply, focus on the present moment. Now, this may sound a little odd, but think about all the daily worries that plague you throughout the day. By focusing on the present, you can actually learn to tune out some of these issues. Of course, how you choose to practice mindfulness is up to you. But mindfulness-based meditation can be pretty easy to put into place. Start by getting into a comfortable position. Next, begin to focus on your breath. Pay attention to where you feel your breath — your chest? Your stomach? Finally, pay attention to when your mind wanders. This is completely natural, but if you can, bring your thoughts back to your breath and the present moment. The nice thing about mindfulness is that you can put it into action at any time. Anywhere you can set aside time and space, you can use mindfulness. Remember that focusing on the present moment — and trying to think of nothing but the present — is key. So, What Can Mindfulness Do For Your Physical Health? 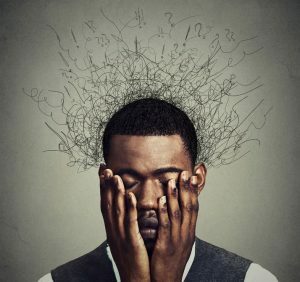 In another study, one group learned how to use mindfulness techniques (ie: meditation, breath awareness) to respond to stress. While another group focused on health education (learning about diet, exercise, and general stress management). After eight weeks of training and eight more weeks of home practice, perceived stress scores for women in the mindfulness group had decreased 3.6 points compared to only 1.3 points for those in the health education group. But, another study compared the brains of long-time meditators to those in a control group. There’s still a lot of missing pieces of info when it comes mindfulness and its effects on your health. There is scientific evidence showing that it has some sort of effect. In the meantime, there are many proven benefits to mindfulness for mental health. This may actually be more important to your physical health than you think. Being in a more calm, stable mental place might help you make better health decisions — including what you eat. As a result, mindfulness could help with weight loss.